At the Winshuttle User Group earlier this year in Las Vegas, Winshuttle’s CTO Vikram Chalana demonstrated an example of what we call round-tripping, when customers have master data or transactional entries of SAP ERP that need maintenance. Round-trip scenarios include three actions; a data retrieval action, a change action and an update action. The round-trip is effectively a data loading action, even though SAP is not involved at the outset. 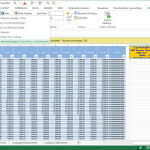 You pull data from peripheral, legacy or sub-system and then stage that data in Excel or Access before pushing it to SAP. Round-trip scenarios are incredibly common. They range from mass changes of data attributes like materials, vendors, employees and customers, to more complex scenarios like updating long text, or scheduling dates and other attributes in transactional data for purchase orders, requisitions or plant maintenance tasks. Winshuttle customers have demonstrated tremendous innovation using Transaction, Query and Direct to achieve elegant round-trip scenarios that improve process efficiency and improve data quality and accuracy. 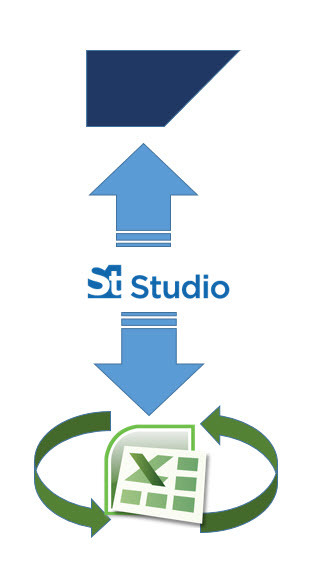 Studio enables you to quickly extract, change and upload data in SAP through a user friendly interface. This allows you to optimize the creation and maintenance of your data in SAP. The specifics of round-tripping depend on the scenario. Hopefully the example below will give you an idea of how to leverage round-tripping to meet your own needs. 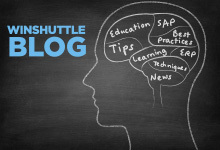 In this example, we’ll review extracting materials from SAP using Winshuttle Query. You can complete this with a getlist or getdata BAPI. To start building a query, identify the table you want to use by selecting the table from the dictionary. You can also enter the table name directly into the Quick Add box to add it to the Studio Workspace. To understand the difference between using a query in conjunction with a transaction recording or BAPI, you need to understand the relationship of the table to the transaction screen. This may require a little more technical knowledge about SAP data structures. Although data is shown a certain way in a transaction screen, it may look different in the data tables themselves. You can also use single tables, joined tables, infosets and logical databases to define queries with selection criteria. This is not limited to regular tables or views. This can be used with pool, cluster and transparent tables, and custom tables are also supported. If you access the tables through the data dictionary, a neat way to find the tables associated with the transaction is by accessing the associated objects under the transaction code grouping. Studio comes packaged with a set of definitions which can be synchronized with your own SAP system(s). Query allows you to leverage basic Excel functions like transforms, and add formulas to spreadsheets after you run your queries. The advantage of using a formula in the query script is that the formula replicates for every row retrieved as part of the query. Although Studio doesn’t transform data as part of the application logic, you can still use it for basic ETL functions. Winshuttle Studio supports two modes of data representation, and you can use the values that are stored in Excel, like numbers or values that are displayed. This is important because you may use Excel formatting to represent dates and currency values with certain notations or prefixes. However you may not want to push those notations or prefixes to SAP when you perform an update. After you’ve downloaded your data, it’s now a matter of matching the transaction recording you’ll use, with the data. You can enhance this process by adding data validation features or rules to the transaction recording. This will improve data processing quality and make the data maintenance procedure more robust. When you publish your query and transaction script to the workbook, you have a solution that can be packaged for Runner users. End users in the organization can then use this for simple data maintenance tasks. We reviewed how you can use Winshuttle Query and Transaction within Studio to achieve these results. Many of these scenarios can also be achieved with BAPIs distilled from Direct or even just using Transaction.